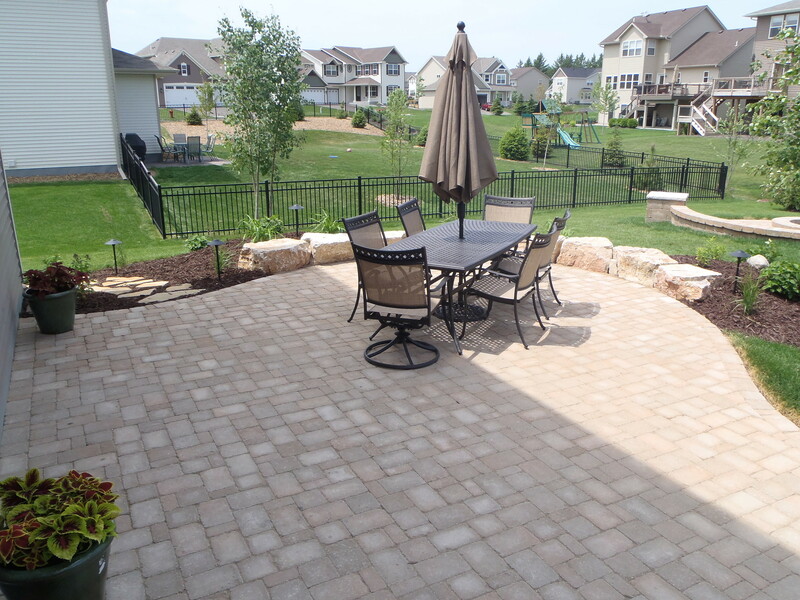 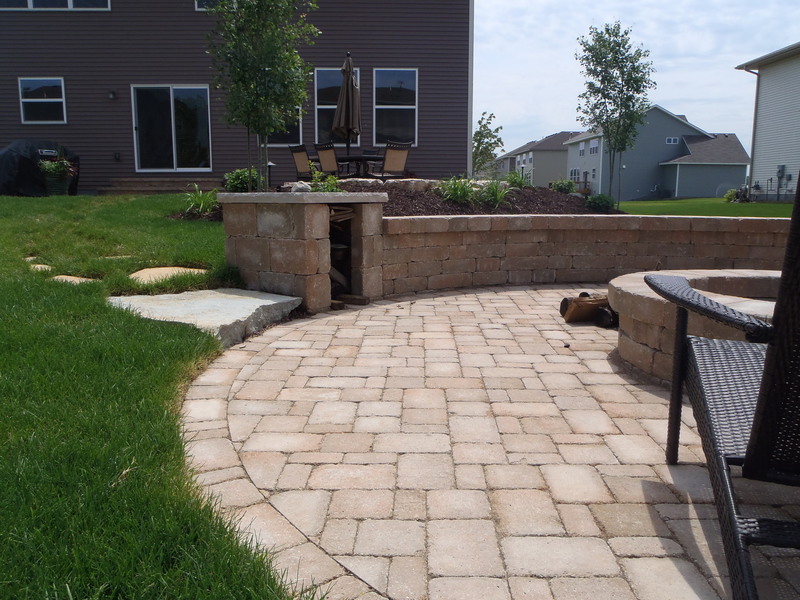 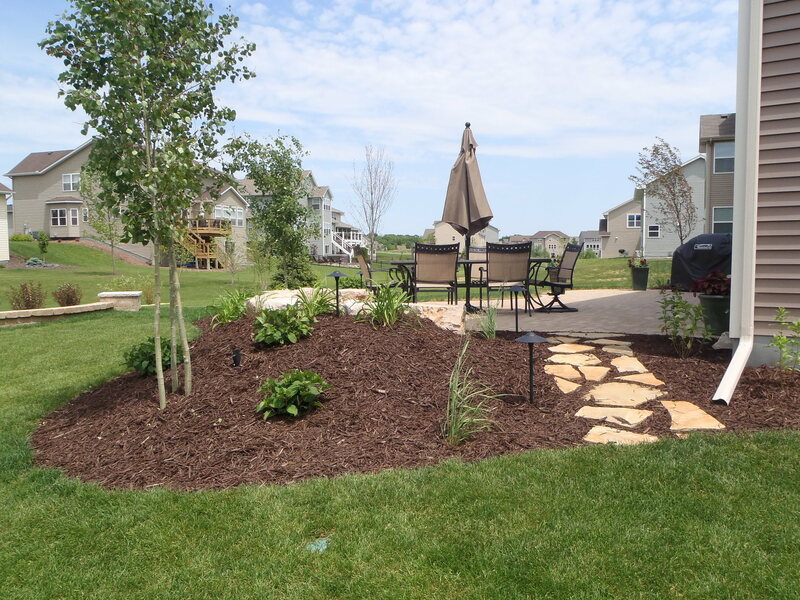 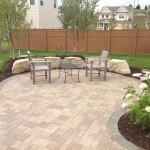 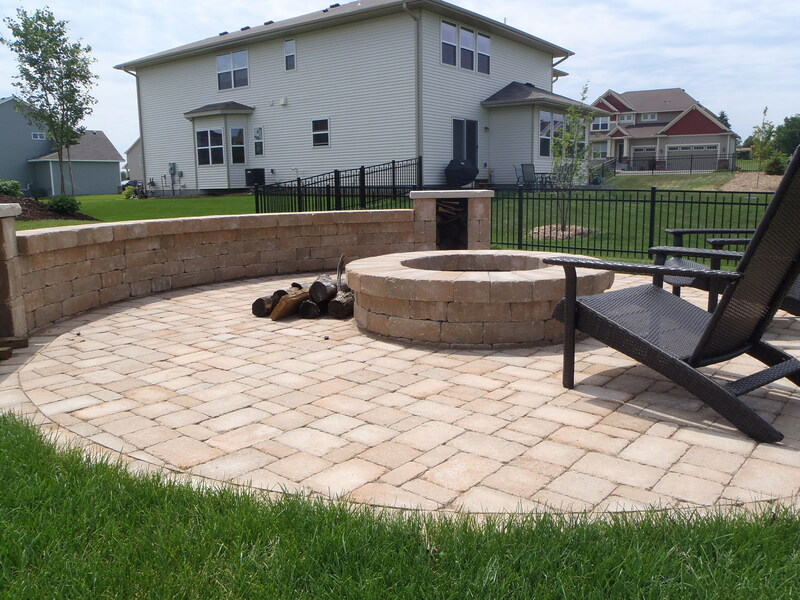 This custom landscape and hardscape project in Maple Grove, MN featured a Belgard paver patio and fire pit. 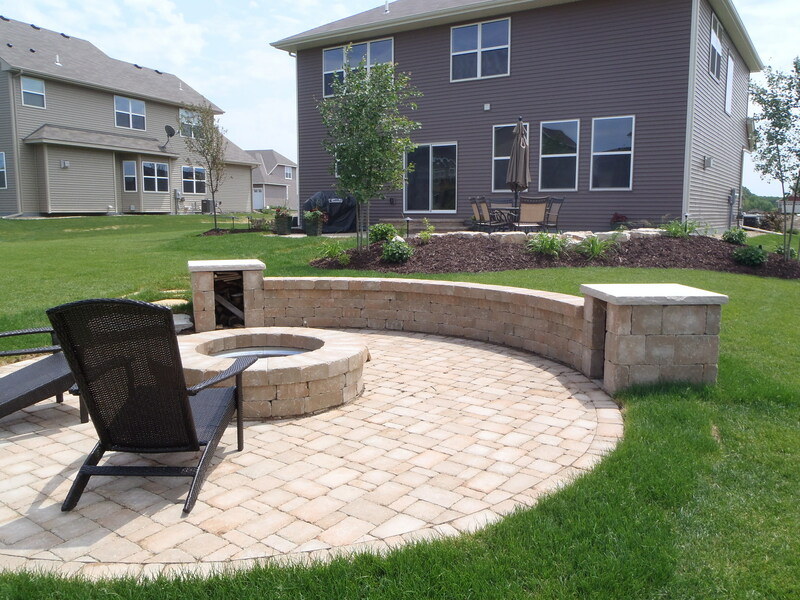 The patio had a limestone cube seating wall and the fire pit used Belgard Weston wall to create the seating wall and wood boxes. 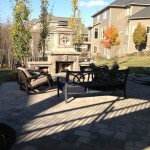 The evergreen trees and bermed up landscape bed around the patio offer a bit of screening when out enjoying the patio. 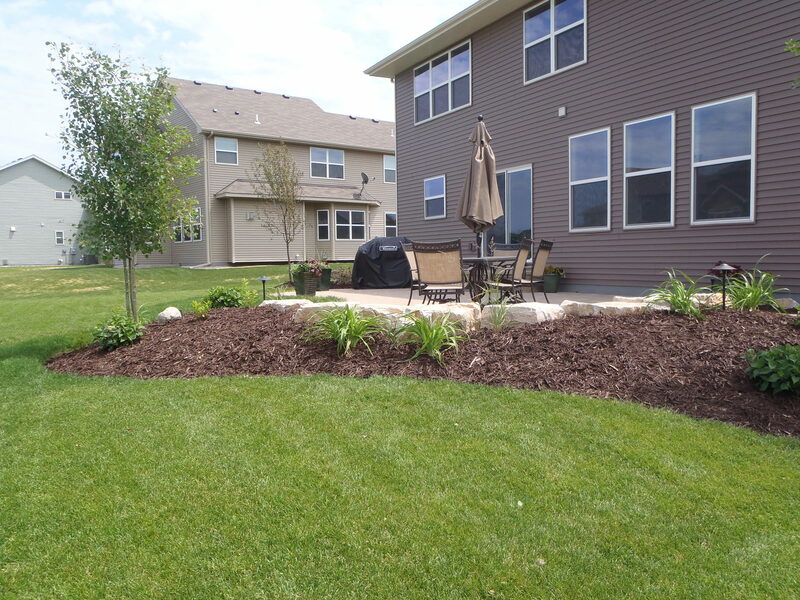 The perennials off lots of color throughout the season and the dark brown mulch makes the patio really stand out.